The Sega AGES line has taken ages to get up and running here in the west. Despite this, it has managed to develop into a quality library of retro re-releases with some subtle quality of life improvements to enhance the overall experience. Have you been waiting for these two releases? What do you think of the Sega AGES collection so far? Tell us down below. I like some of the Alex Kidd games but don't really have any nostalgia for them. I do wish the Sega Ages line would release games a little faster. There are so many good games it feels like are going to take forever to get to at this pace. Can't wait for Gain Ground, an under rated gem. I had the master system 2 with Alex kidd built in, so that one is a definite buy. Nice bit of nostalgia there. @sleepinglion Well there’s no way you’re going to get ports of the Star Wars titles. Golden Axe seems likely at some point. I think it’ll depend on what original source code Sega still has for its games. @FragRed Agreed, SW is a pipe dream. Disney could totally slap some of these oldies into a lazy comp and it would sell. @sleepinglion I know the first game used film sound effects and I assumed the second used largely the same. But I agree it’ll likely end up being Mega Drive ports of those 2 games unless they can change the sound effects to something less illegal for the arcade versions. @FragRed @sleepinglion There was an article on here late last year saying M2 want to bring Star Wars Arcade to Switch. Yep, have to get Alex Kidd. Master System 2 was one of the earliest systems I owned. Soo many memories! It's been near 30 years since I played Alex Kidd yet I can still remember the music from the opening level. As a Sega guy, AK was my Mario Bros. Day one! Got the ps3 Mega Drive compilation which I still dip into now and again. I don't feel these games are worth owning two copies of at the same time, as while they're nice to revisit now and again the reality is I don't choose to play them very often. When my ps3 dies, I'll probably get the Switch or ps4 Mega Drive compilation again though. Finished Gain Ground earlier this year. Enjoyable, if a bit unusual. @gauthieryannick stabbing fans in the back takes the assumption something was promised and taken away. I think its more to so with the rights holders than with Sega. @Gerald Gain Ground is a really great game. First time I played it thought it was pretty bad but when I played co-op with a friend turned out to be a blast. Requires quite a bit of thought in terms of characters to use and your strategy for the stage. It was about time, but here on NL there was a post about Gain Ground and Puyo Puyo being released on February. That never happened, nor a post about the delay was published, and now Puyo Puyo has fallen. Anyway, I'll buy them as soon as they get discounted, because it has happened with all Sega Ages games so far (and shortly after the release) and I feel dumb buying them on day one. @sleepinglion If all I had was mobile(phone) gaming...I wouldn't play video games. I'm glad we have the Switch with physical media still. But with Sega, if they had the staff and ability they had 80's-2000, we would COULD have the best games ever. As a Sega fan boy right up through Dreamcast, it kinda hurts to see what they have become. Shenmue 1,2,3 for Switch would be amazing. @Jawessome Sega was the original publisher for those older games. Westone was just the developer, and on top of that the latter went bankrupt and the company got dissolved in 2014. I doubt that anybody else than Sega hold the rights for those titles right now. Love me some Alex Kidd! As someone who barely had any experience with the Genesis growing up, there's only one game I'm looking forward to that's part of the AGES line in Japan, and that's Sonic 2 with that sweet Drop Dash. 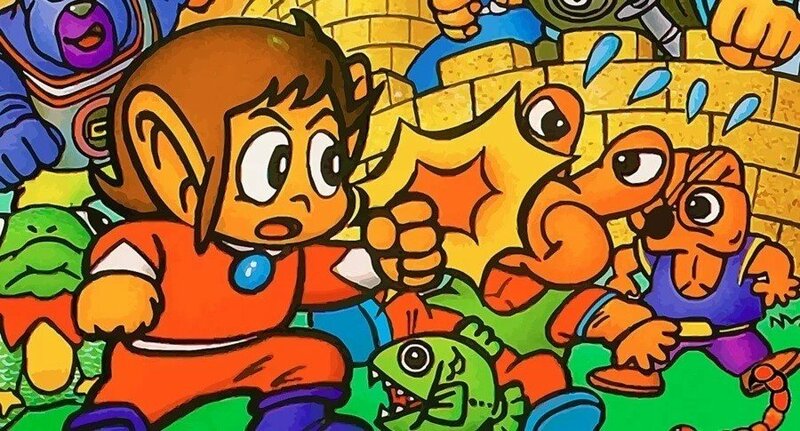 Now bring back Alex Kidd in Shinobi World and even Lost Stars. Been waiting for Gain Ground since Sega said it would be out in February. Great to see we're still getting it! I'm getting Alex Kidd been wanting to play this. @Chris77 same, the Master System 2 was my first console and Alex Kidd was the first game I remember playing. @sleepinglion brother you know your Sega stuff well I can appreciate that. It's nice to see somebody who understands how awesome Sega was in the 80s and 90s! Honestly I prefer the Master System Genesis era then jump to Dreamcast that was amazing. @sleepinglion There are so many ports available for Golden Axe 1 and 2. How about Revenge of Death Adder? As good as these games may be, it would be nice if Sega would increase their output and move past the 8-16 bit eras. I understand that most of the Saturn library is out, but I think they could port Nights since they’ve done it before. Also, they could do Virtua Fighter 1 and 2, take out the license and release Die Hard Arcade under the Dynamite Cop moniker. Crazy Taxi, Space Channel 5, Super Monkey Ball, Jet Grind Radio, Shenmue, Sonic Adventure 1 and 2, Shining Force 3, Skies of Arcadia. I’d also love to see Sega CD games like Sonic CD and Eternal Champions: Challenge from the Dark Side. Also, Knuckles Chaotix and Kolibri for 32X. The Sonic Arcade game? There is such a huge well to draw from. Alex Kidd is cool, not sure about Gain Ground, I'll still wait for Virtua Racing and Virtua Fighter 2 though. 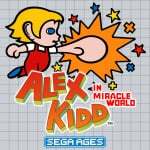 Does anyone know what enhancements or quality-of-life changes will be in Alex Kidd? The Master System II was my first console, and Alex Kidd in Miracle World was my one and only game for what felt like years. So much nostalgia... But it was a punishing game, I never finished it (although my dad did once). Does it have infinite continues now? Help with the Janken matches? Emulator-style save states and rewind? Or anything at all, other than a fancy screen border? Legend has it the sound effects for Golden Axe were lifted from First Blood and Conan. Never played them. How are they? I might pick up Alex Kidd considering that the only other version of the game that I have is on VC. It would be nice to play without having to go through the hassle of the Wii U Wii Channel.